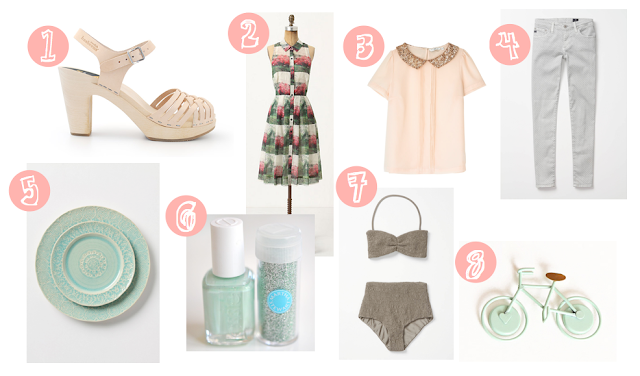 I'm craving all the pretty pastels this summer. Totally wanting to rock some mint/glitter nail polish on my toes with a flirty pair of Swedish Hasbeens, now if only I could spare a few hundred $ for those awesome sandals. What are some of your favorites for spring? Link them in the comment space below.